Help us put an end to this underhanded end-run around the courts once and for all. Urgent Action Alert! As you know, last March, what the world has been calling the “Monsanto Protection Act” was inserted at the last minute into a “must-pass” funding bill to keep the government running through the use of a congressional tool known as a Continuing Resolution (CR). The so-called Farmer Assurance Provision—misnamed because, frankly, the only ones who are assured about anything are GMO manufacturers like Monsanto—actually strips federal courts of the authority to halt the sale and planting of potentially hazardous genetically engineered crops while USDA is performing an environmental impact statement. It’s a huge blow to the justice system, completely overriding judicial safeguards that protect both farmers and the public. The emergency funding period (and with it, this sneak provision) ends September 30, but since Congress has been unable to pass their appropriations bills, they will try to extend the CR as another stop-gap to prevent total government shutdown. Not surprisingly, the same noxious language has already appeared in the House Appropriations CR that was nearly voted upon last week! However, because it’s so controversial and Congress is afraid of citizen backlash, that bill is still sitting in the House—just waiting for the right opportunity to be pushed through. Senator Mikulski understands the anger over this provision. She didn’t put the language in the bill and doesn’t support it either…. As Chairwoman of the Appropriations Committee, Senator Mikulski’s first responsibility was to prevent a government shutdown. That meant she had to compromise on many of her own priorities to get a bill through the Senate that the House would pass. She will continue to fight for a regular and timely Appropriations process and other valuable priorities, including food safety. You’d think that kind of promise would hold some weight. So you can imagine our disappointment to hear a spokeswoman for the House Appropriations Committee say that they don’t expect the Senate to balk at the inclusion of the Monsanto provision. “We have received no indication that this is a concern,” she said. “It’s a very traditional [continuing resolution]in every sense of the word. It simply continues existing law. Anything that was enacted in FY13 continues to be enacted.” While Sen. Mikulski doesn’t have any power over what the House puts in its CR, she has stated on the record that she does not support the Monsanto Protection Act. So why hasn’t she moved against it? After it passed the first time, there was a media firestorm over the Monsanto Protection Act, and millions of emails were sent to Congress from American citizens—with opposition from conservative Tea Party groups to liberal organizations and everything in between. The outrage was so strident that even the Senate Appropriations Committee apologized for its inclusion. Why is this so important? This legislation is not only an end-run around the courts. It also allows industrial farming corporations to use GMO seeds without concern for small organic farmers operating nearby. The potential for cross-contamination of organic crops by GE crops is enormous. The Wall Street Journal recently reported that a field in Washington is being tested for GE contamination after a farmer who grew alfalfa found that it may have been contaminated with mislabeled seeds. 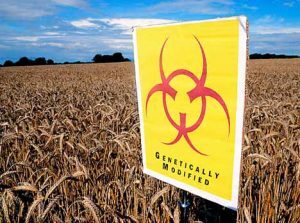 And earlier this year, non-approved GM wheat was discovered in an Oregon field. Japan and South Korea have refused to import our wheat because of GMO contamination. Urgent Action Alert! Tell Congress to oppose the Monsanto Protection Act, no matter what bill it’s in! Warn them that if they don’t, they’ll have a media and grassroots firestorm on their hands once again.